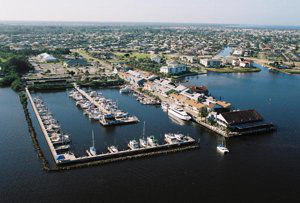 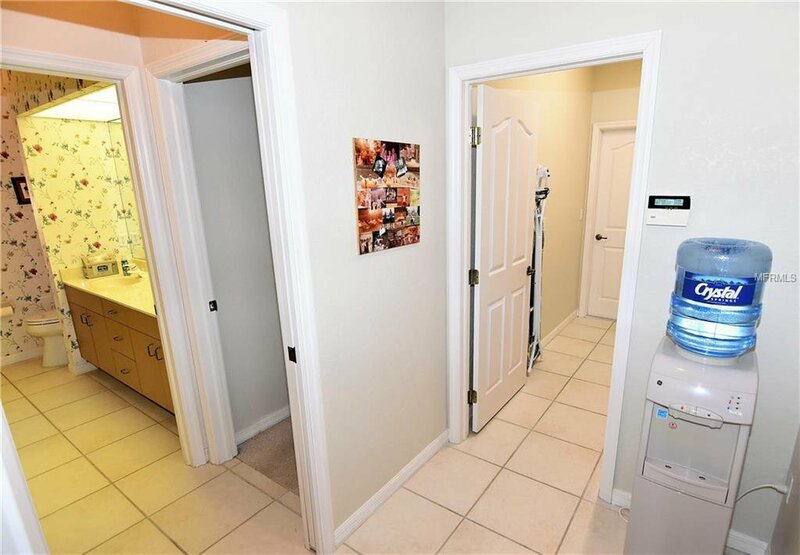 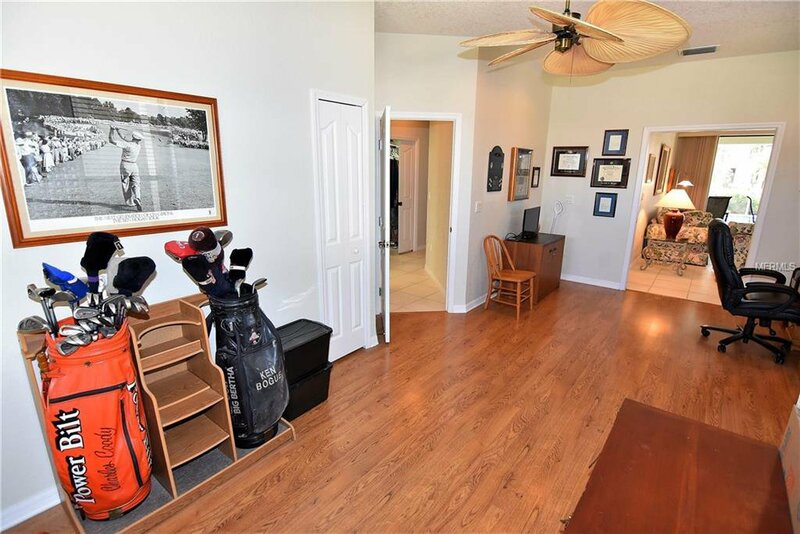 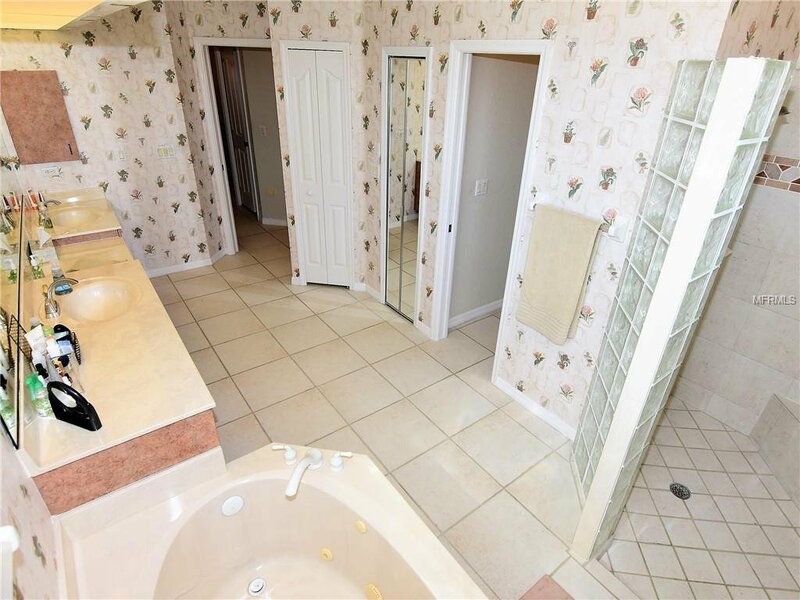 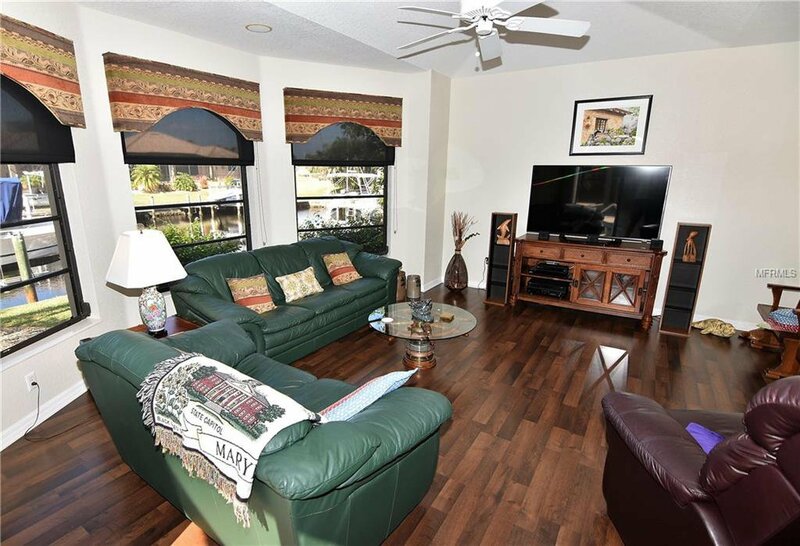 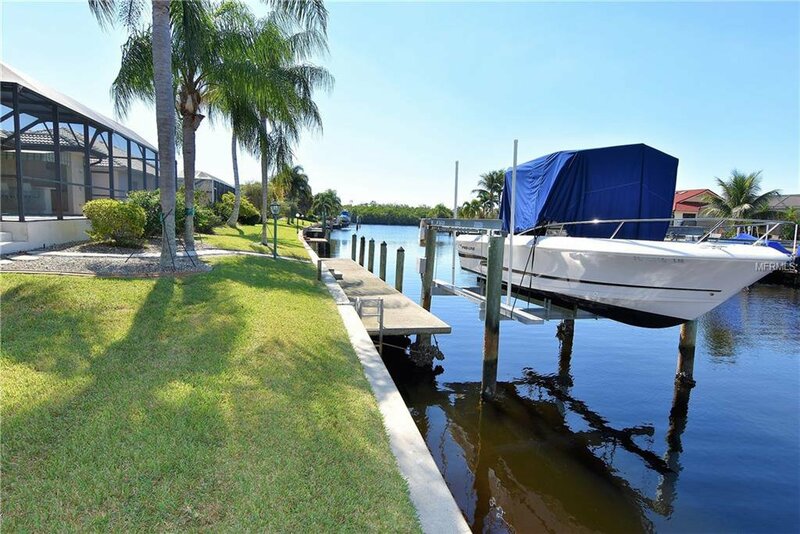 ** PLEASE ENJOY THE 3D INTERACTIVE VIRTUAL TOUR ASSOCIATED WITH THIS LISTING Welcome home to the harbor town of Punta Gorda, Florida and the iconic boating community of Punta Gorda Isles! 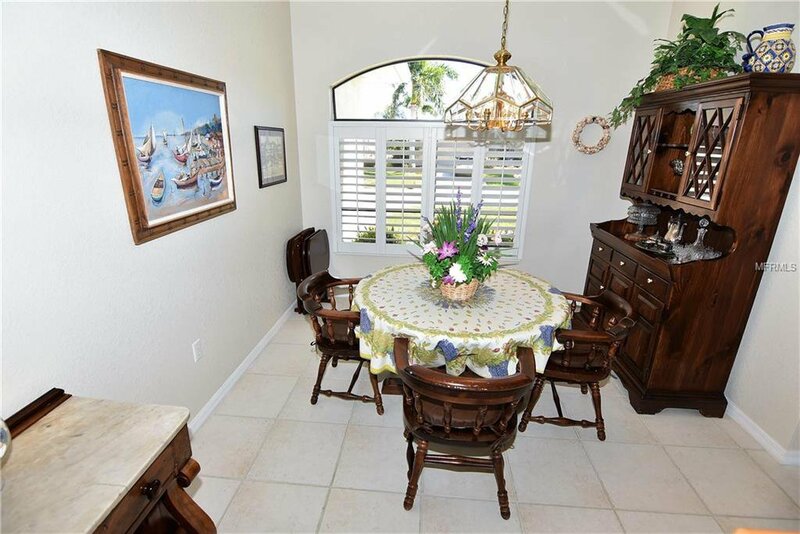 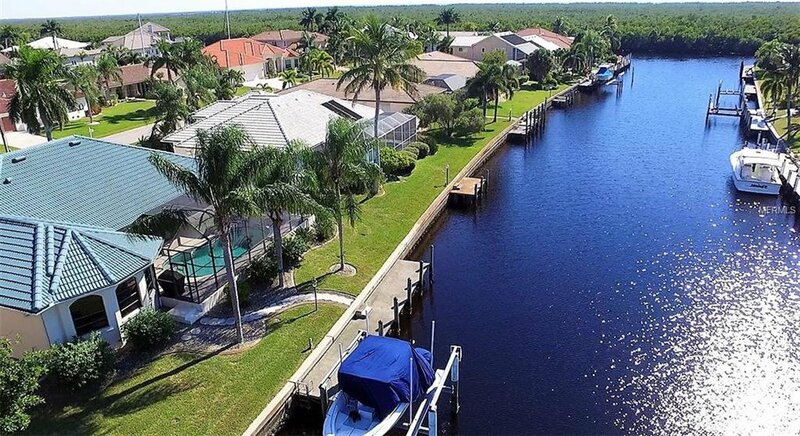 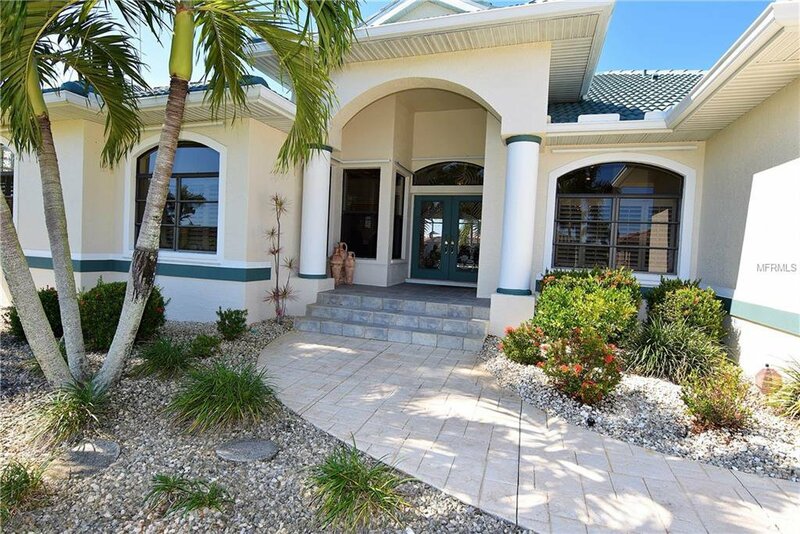 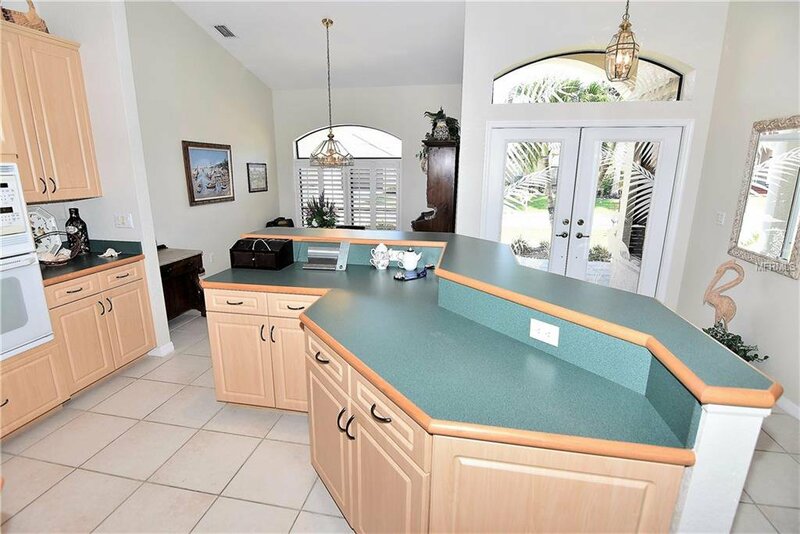 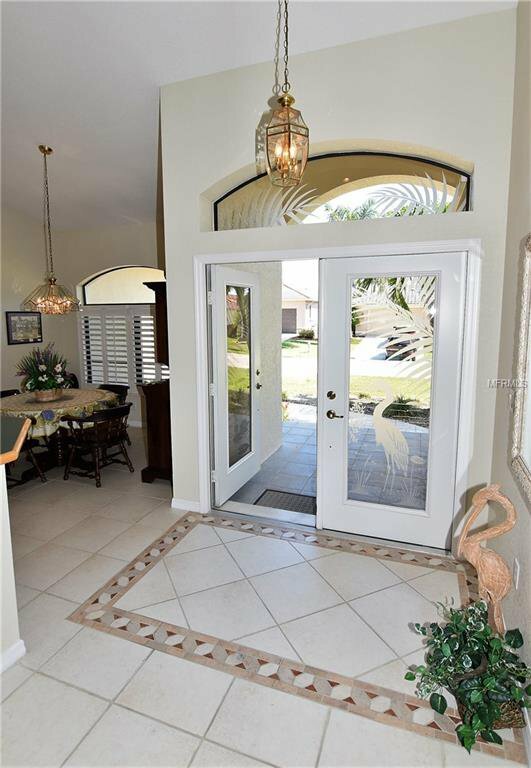 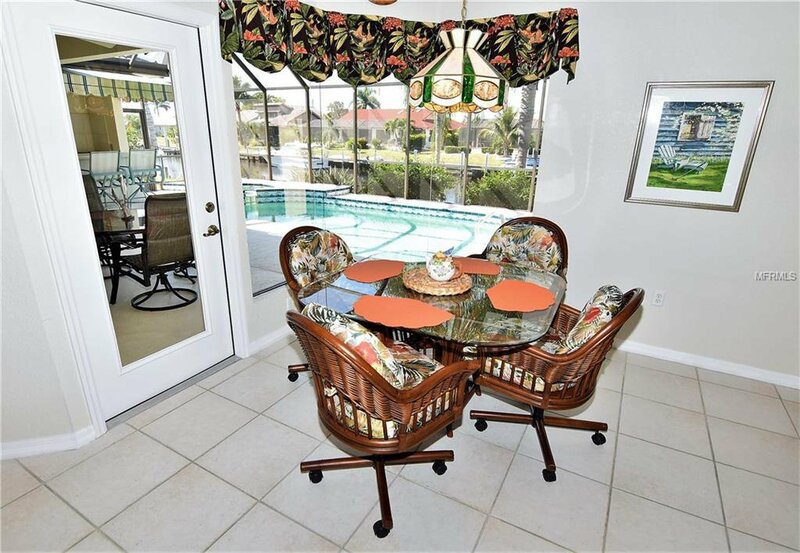 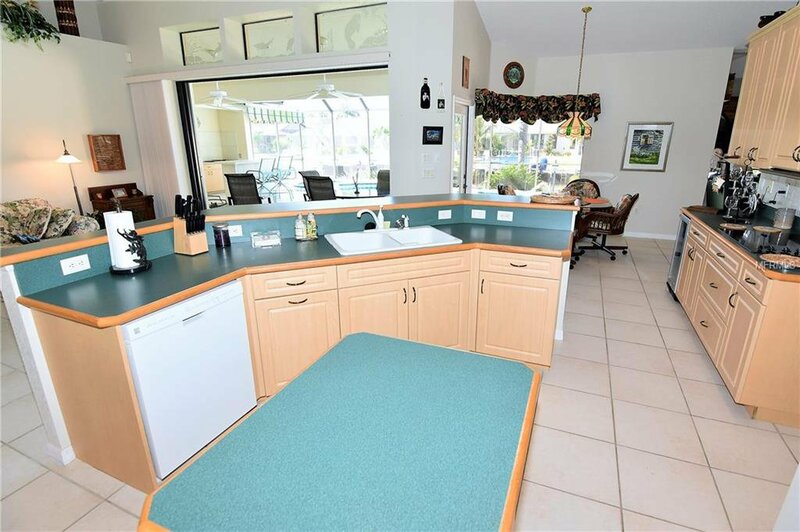 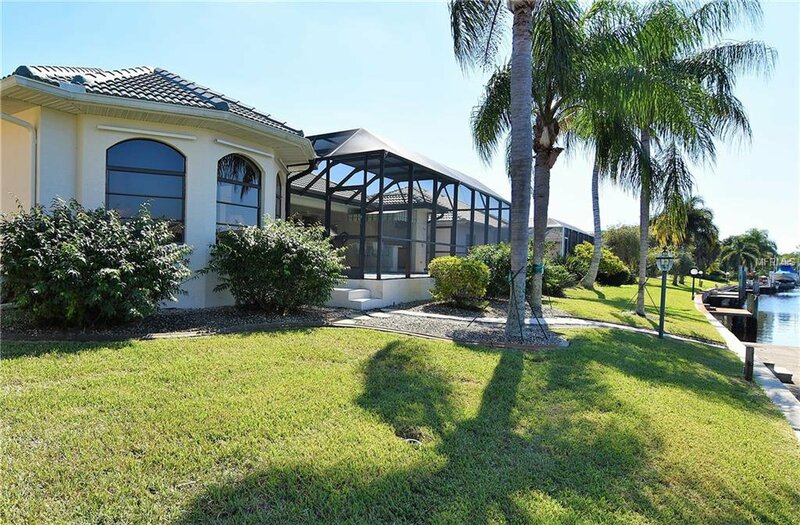 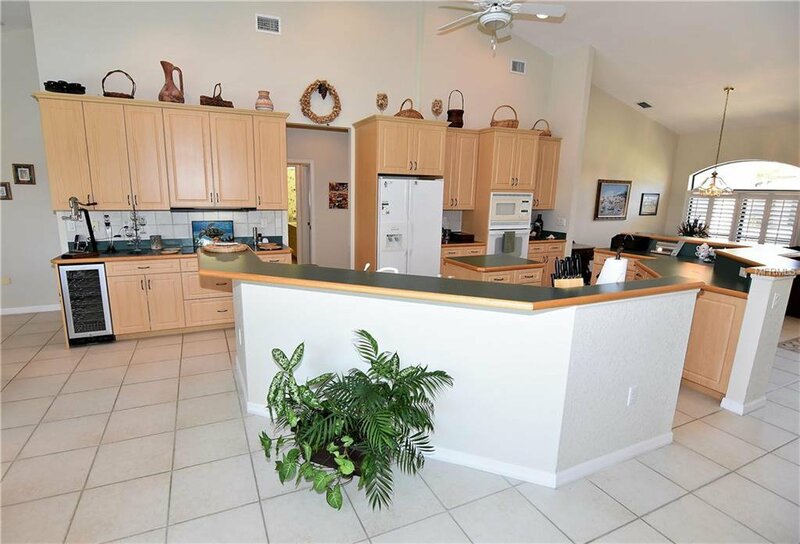 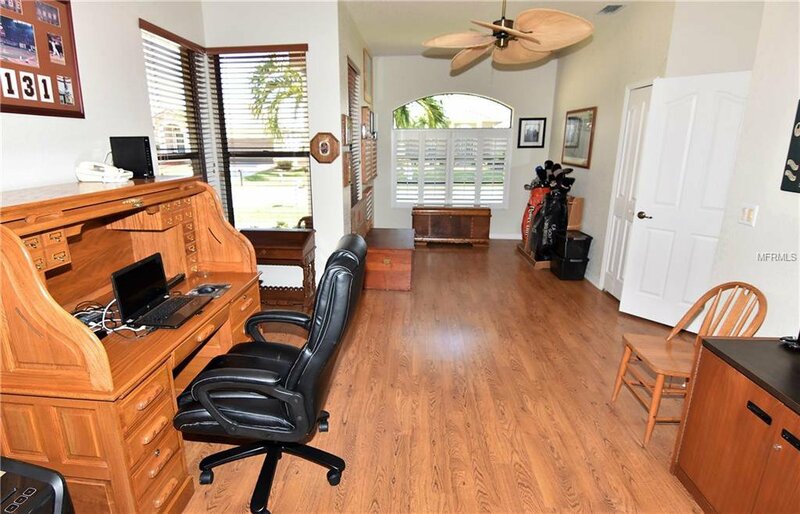 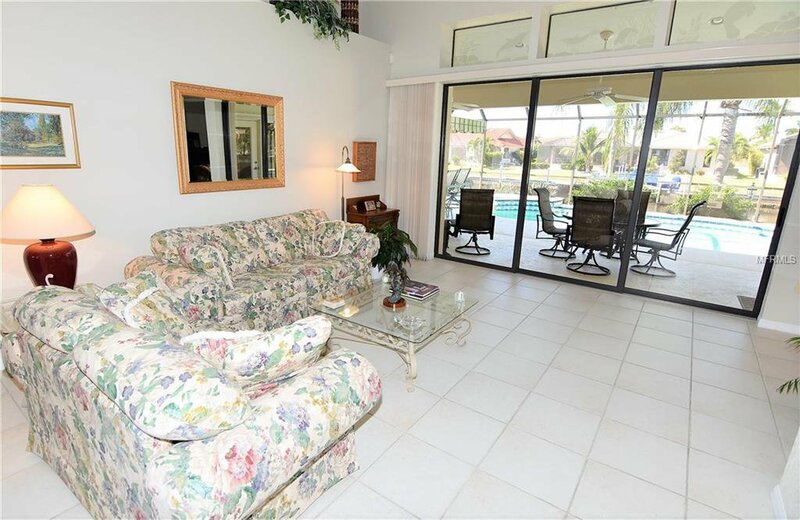 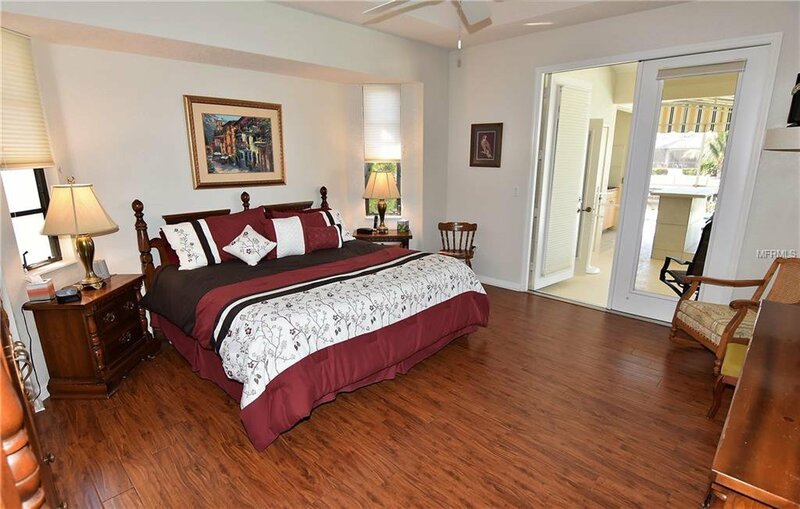 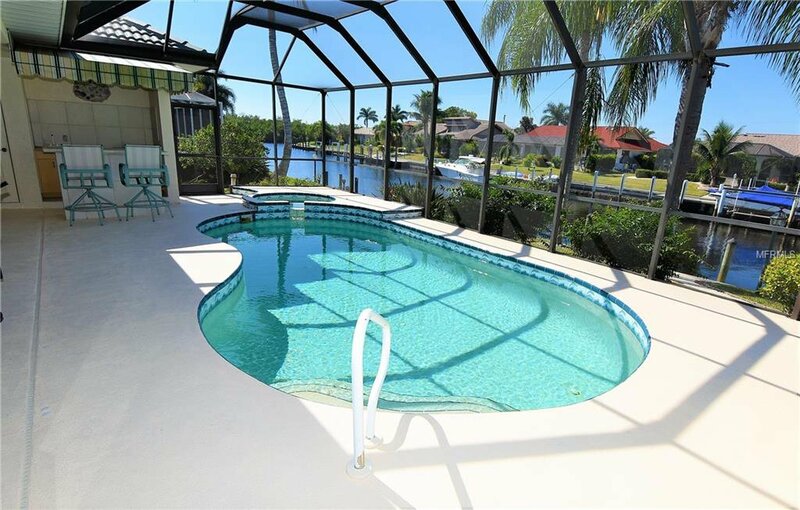 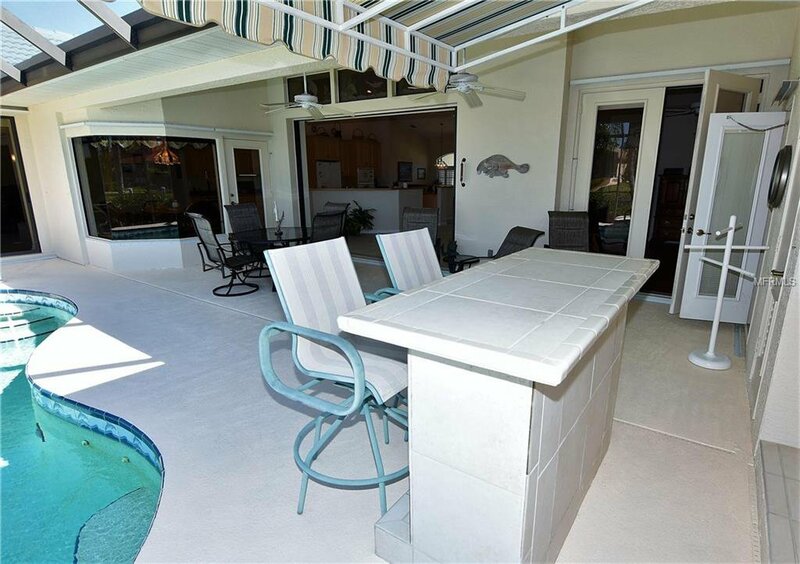 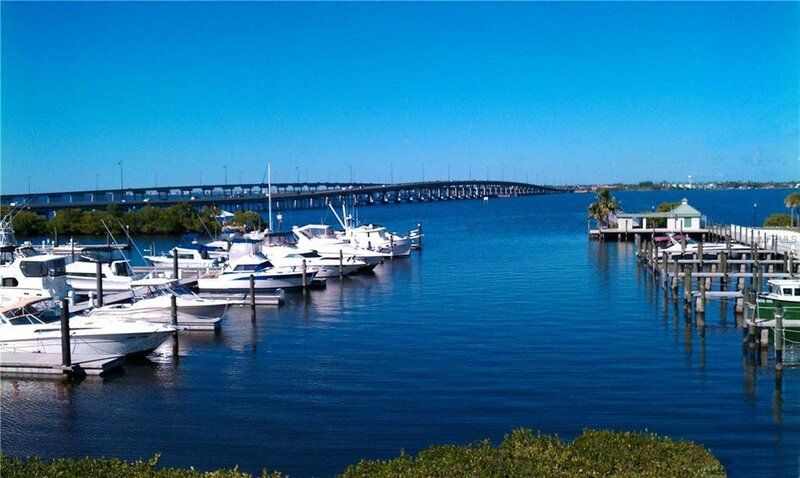 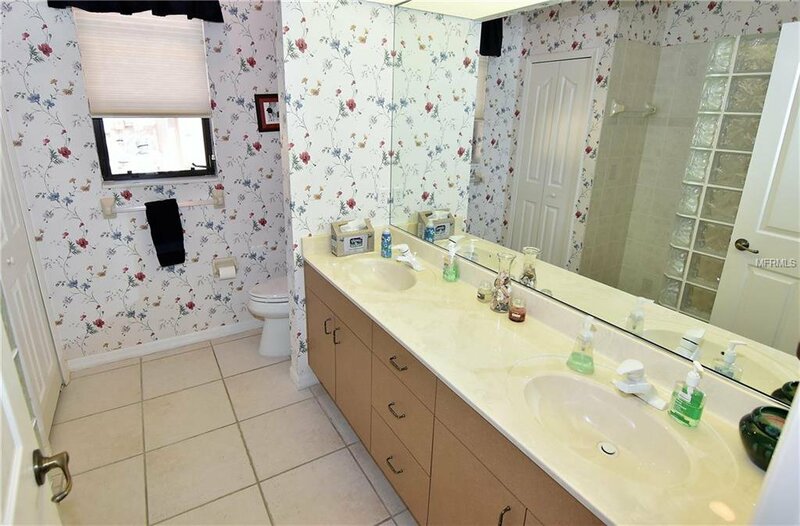 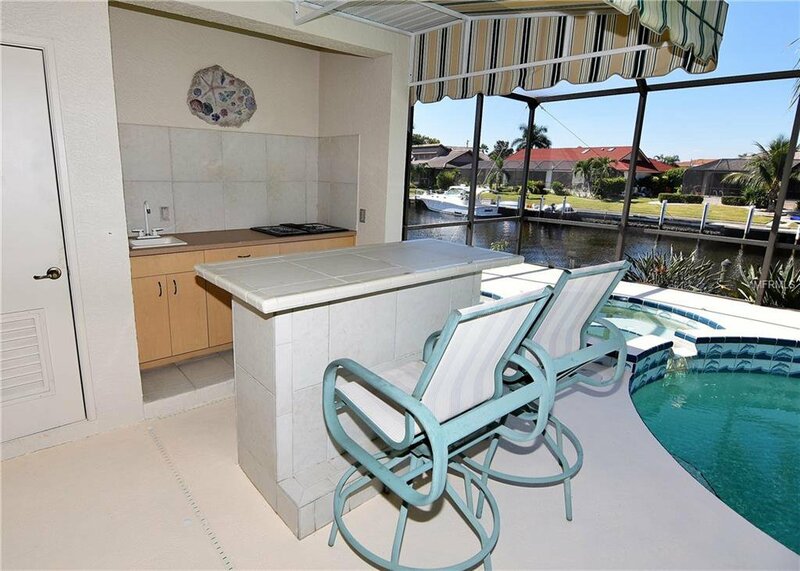 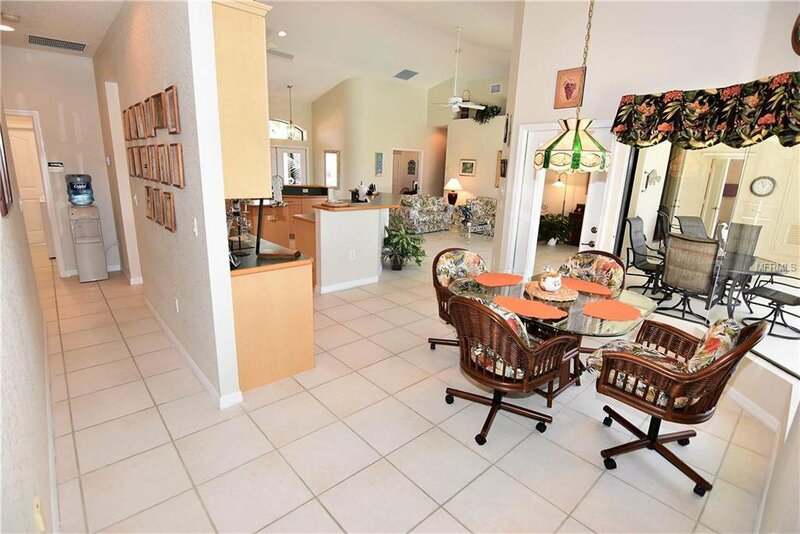 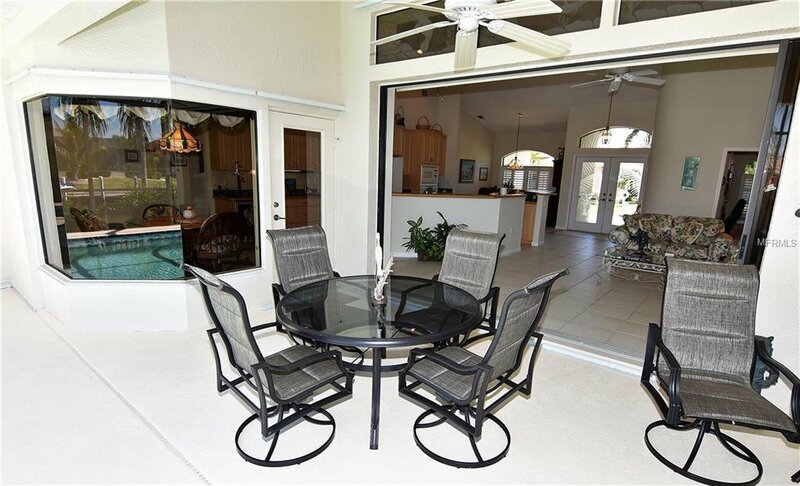 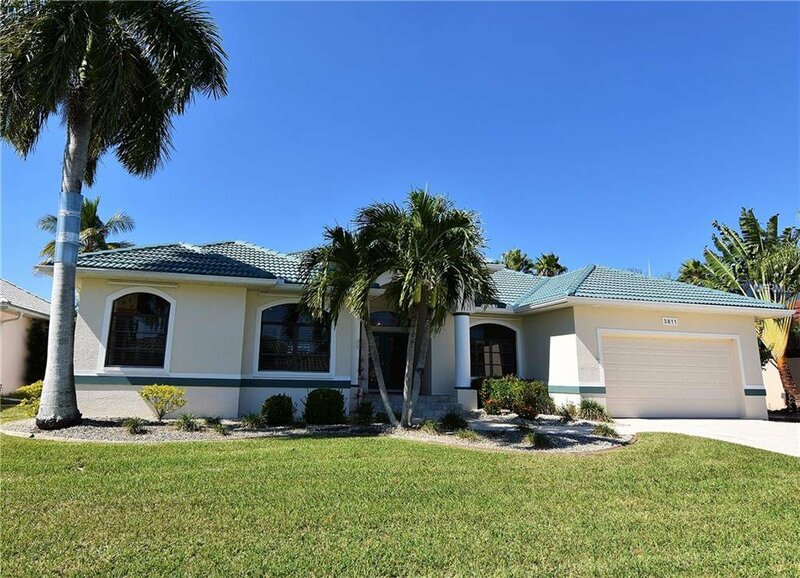 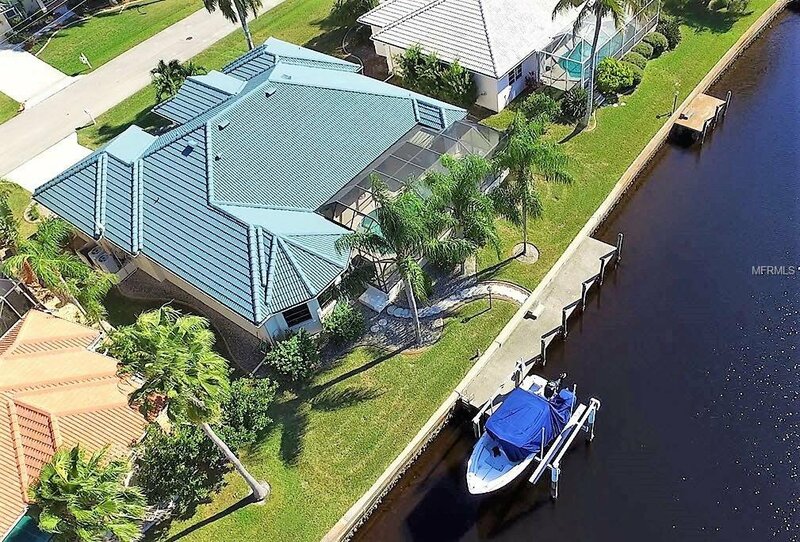 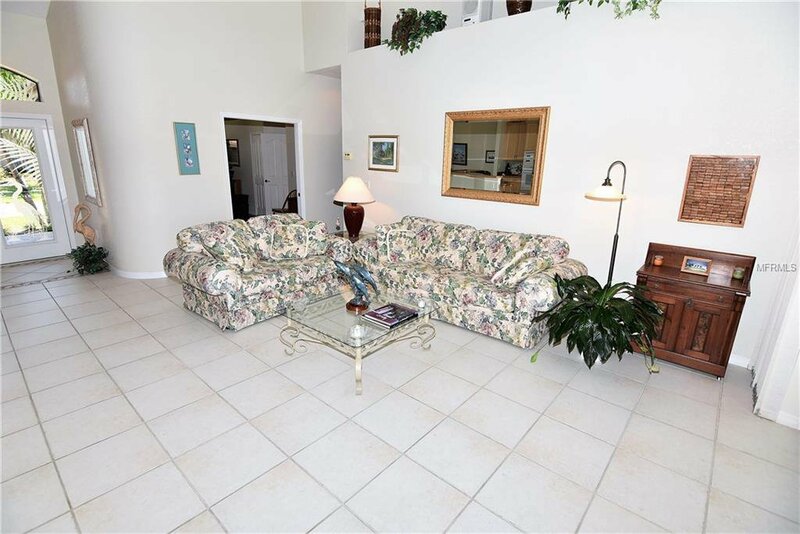 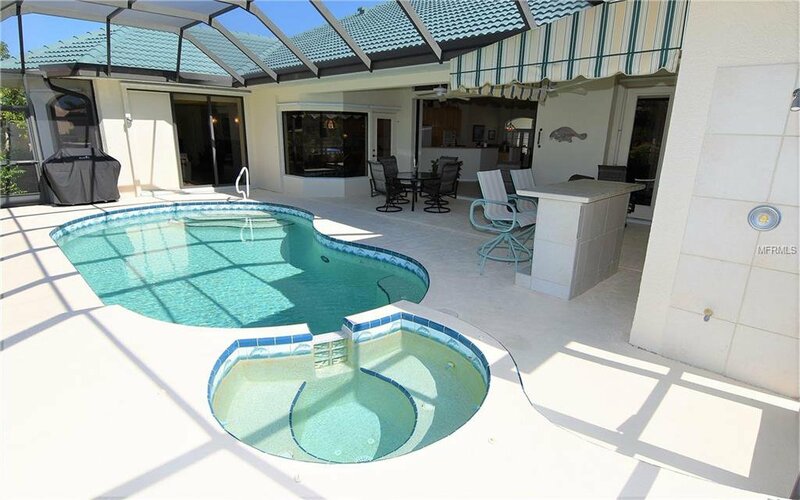 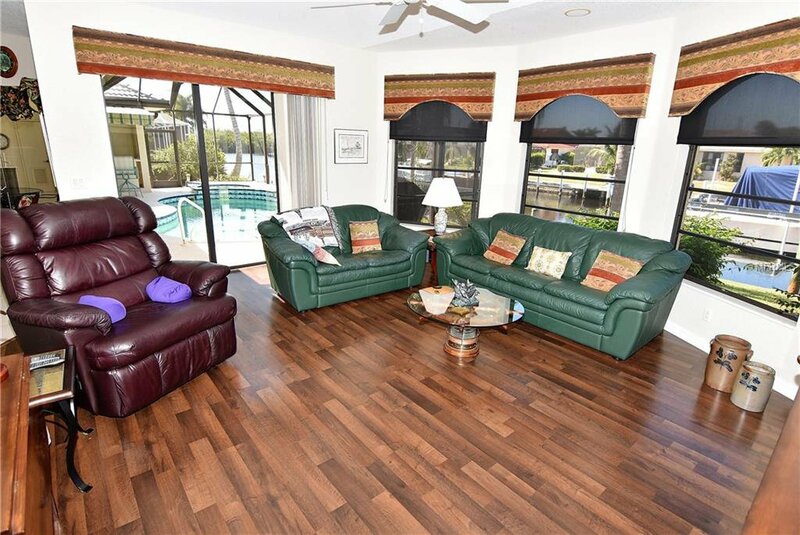 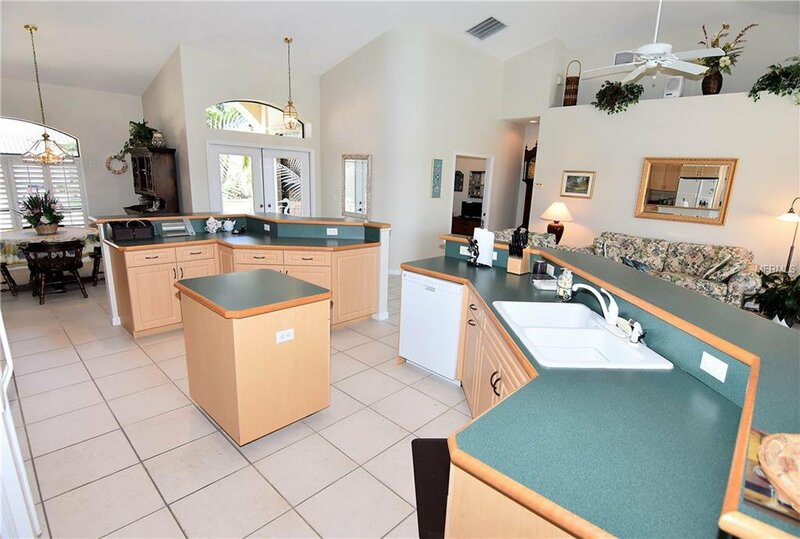 Situated on a fast sailboat access canal to Charlotte Harbor and the Gulf of Mexico beyond, is where you’ll find this 3 Bedroom + large den, 2.5 bath saltwater pool home. 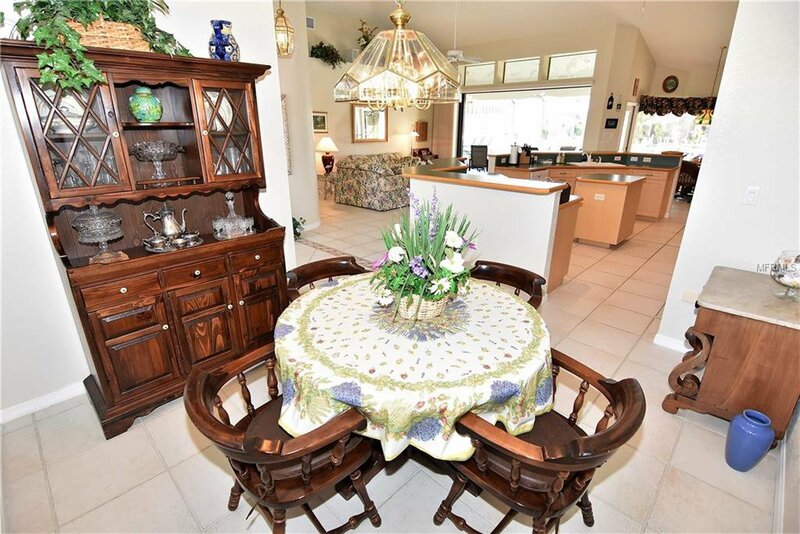 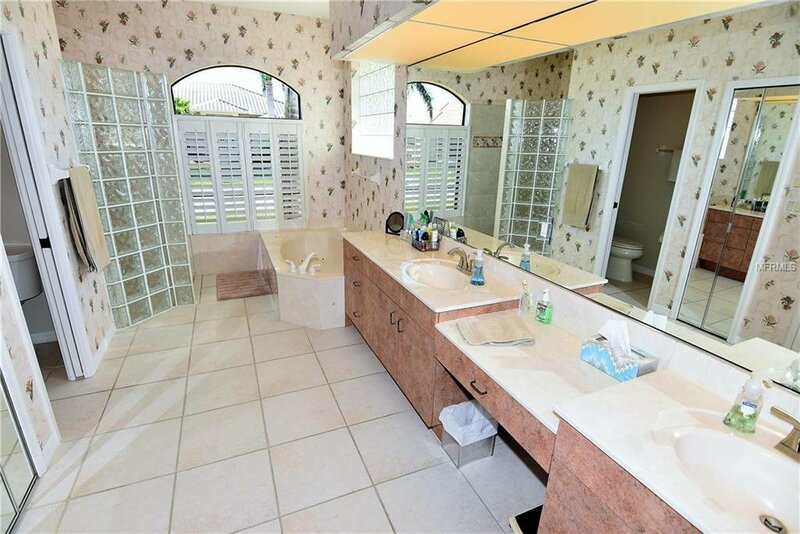 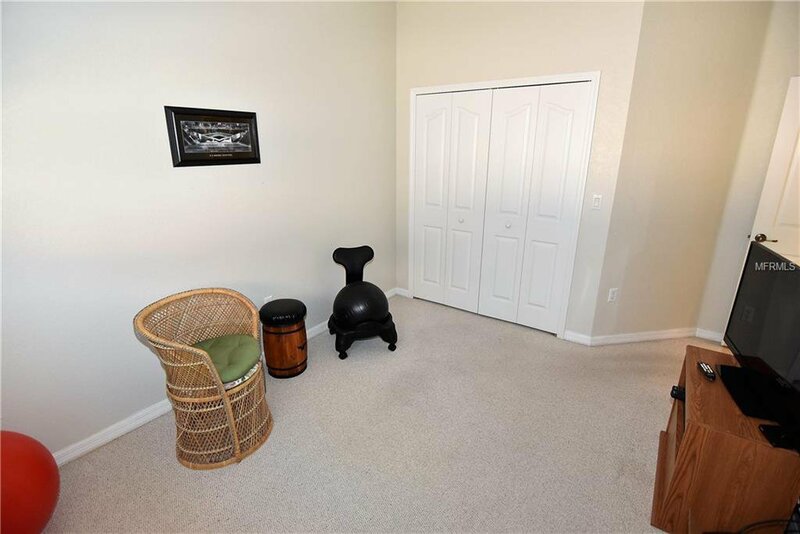 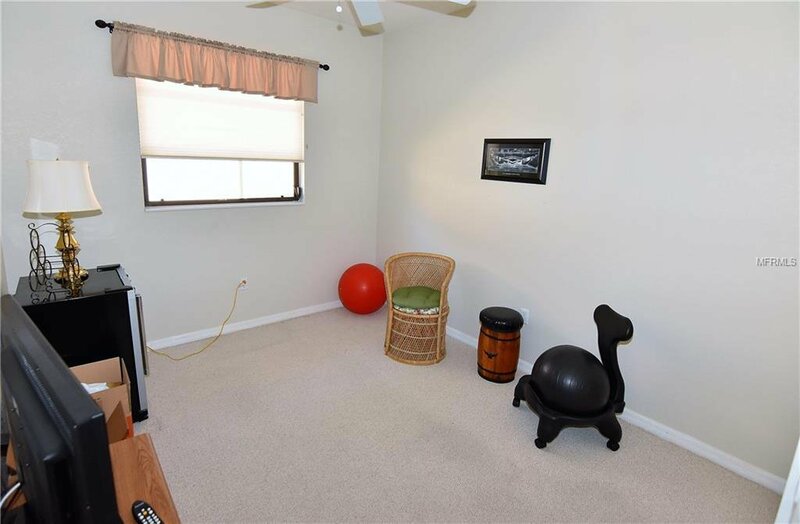 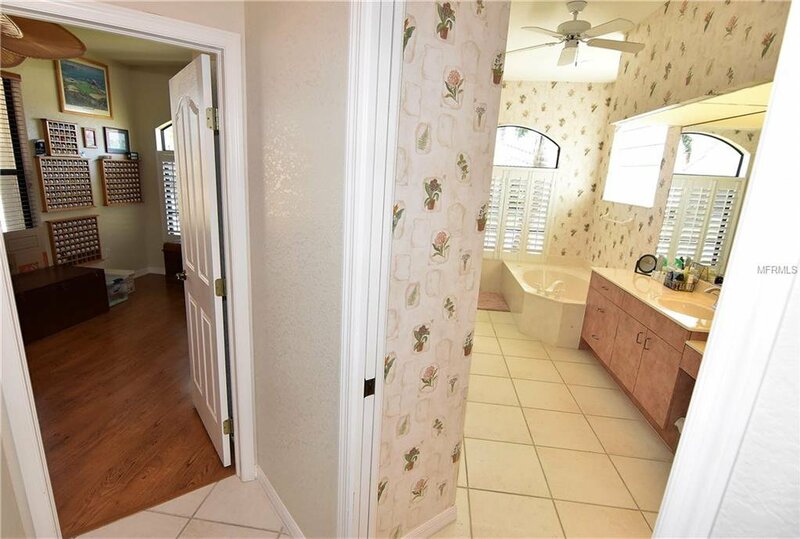 Built strong in 1999 and, meticulously maintained by the original owners, this home boasts over 2740 square feet of air-conditioned space and includes both a living room and family room in a split bedroom design for added privacy. 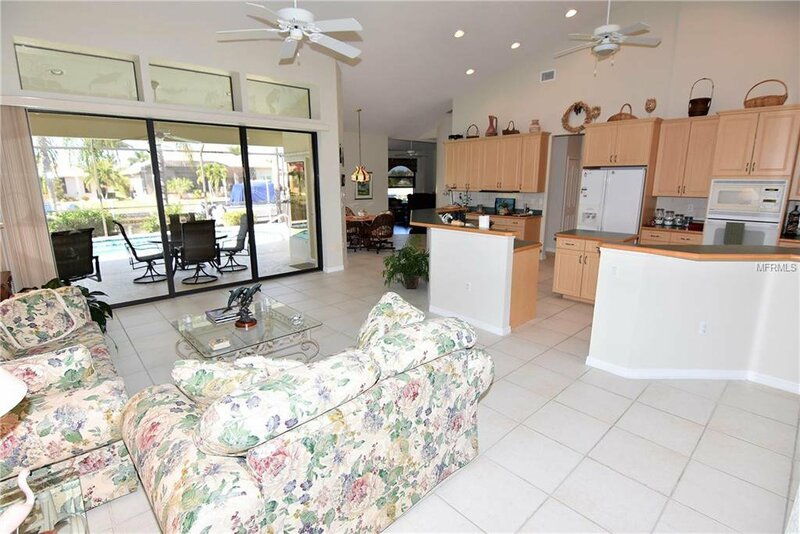 The enormous open kitchen overlooks the living room and, along with the family room, master bedroom and dinette takes full advantage of the waterfront view through the very spacious screened pool enclosure. 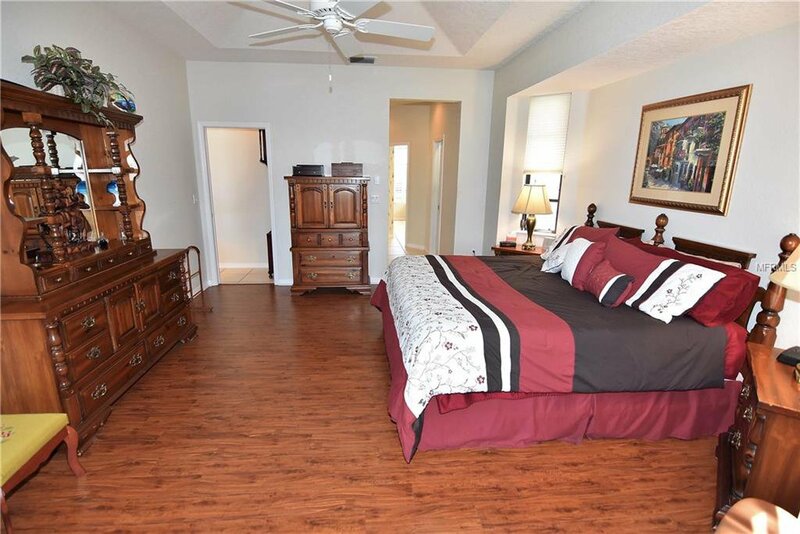 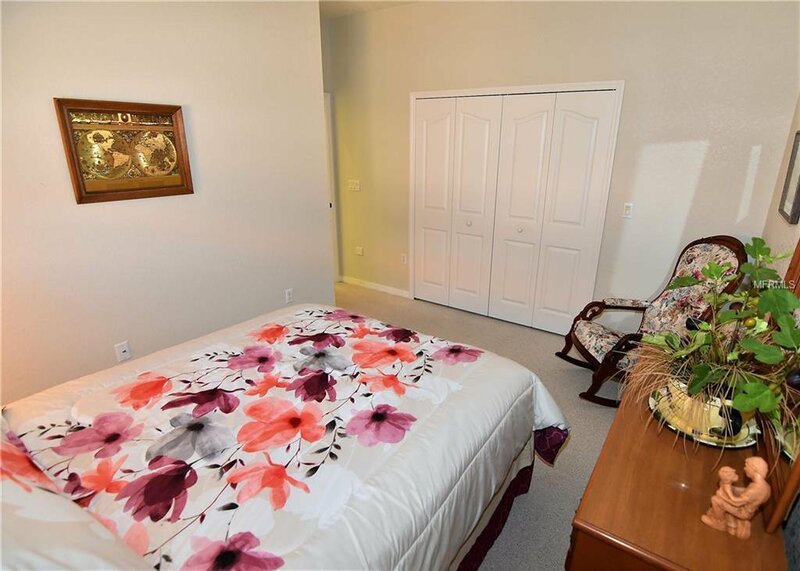 The master suite enjoys dual walk-in closets, a roomy bath with dual sinks, separate shower, jetted tub and direct access to the den/office. 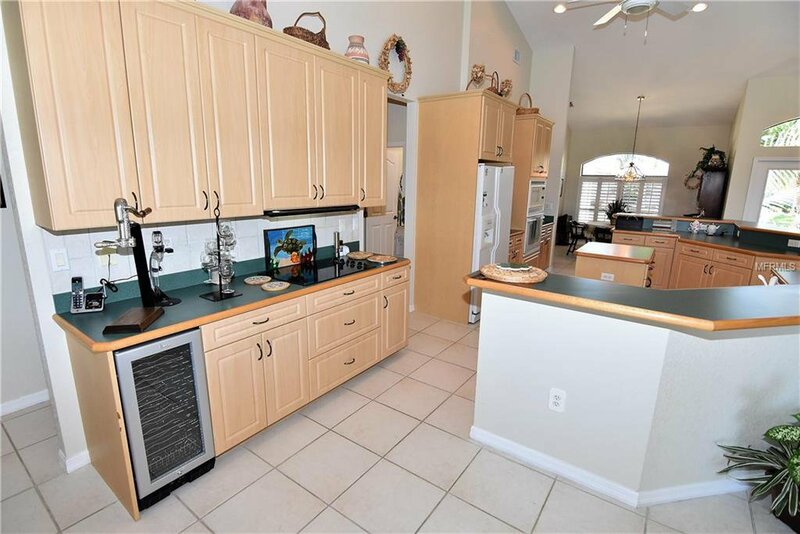 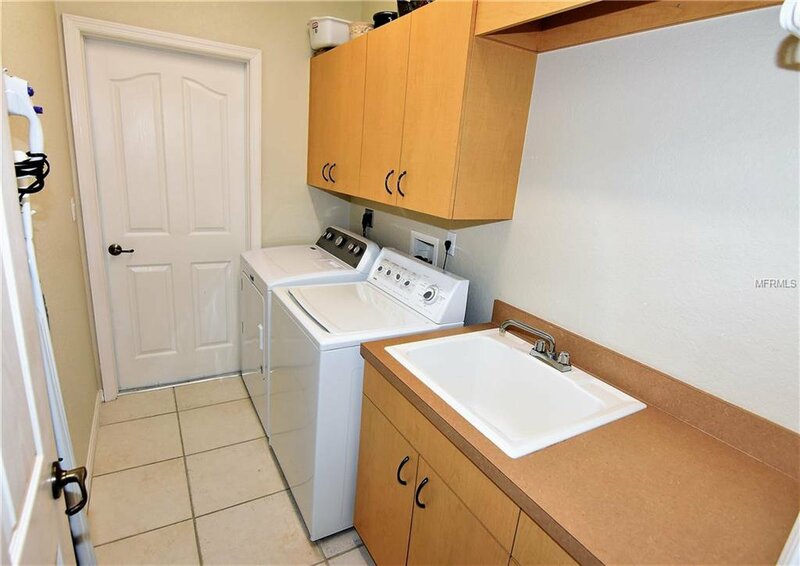 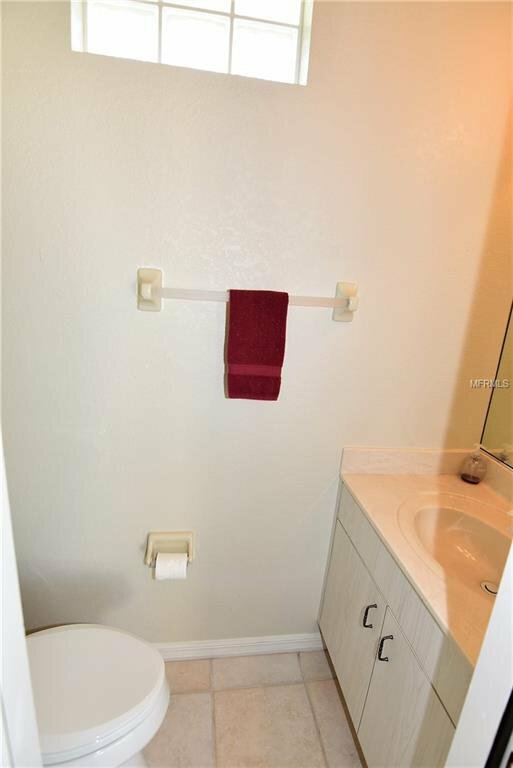 Other features include a combination of tile, laminate and carpeted flooring, Dual A/c systems, generator back-feed plug, full window storm protection, a spacious 2 car attached garage, central vacuum, and security system. 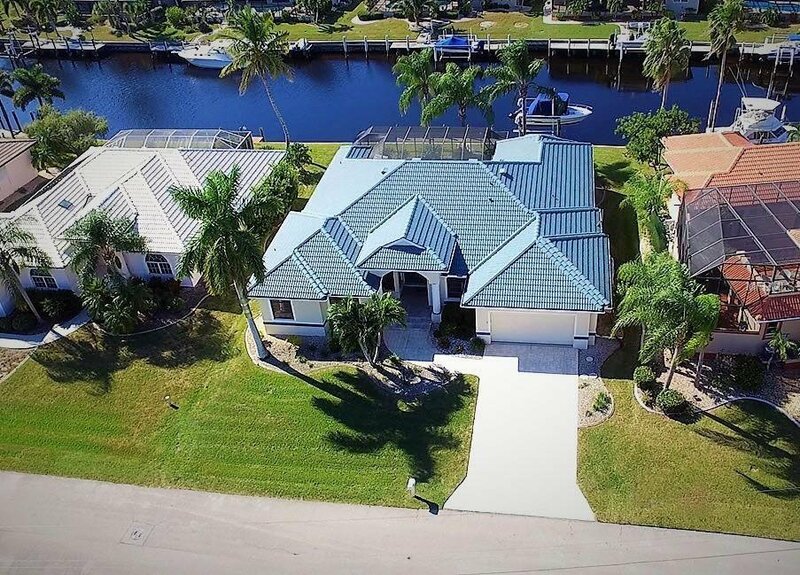 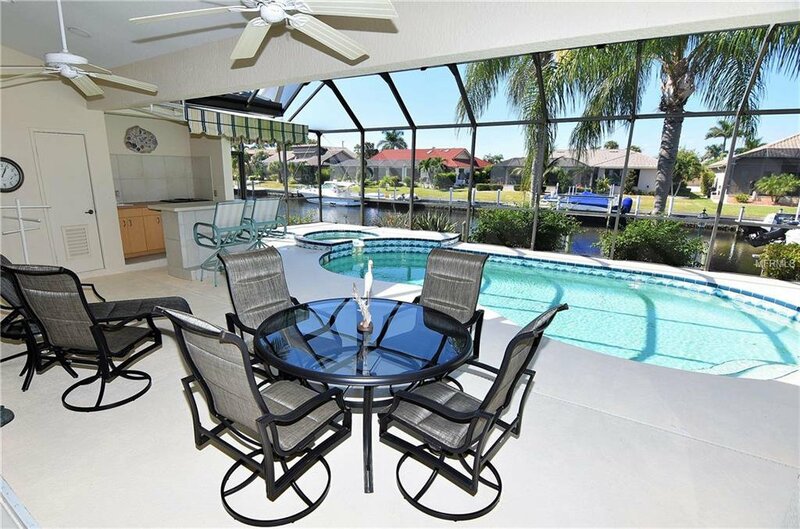 The tropical screened pool enclosure sports a half bath, storage closet, outdoor shower, and grilling bar, while the waterfront provides a city-maintained seawall, a 40’ concrete dock, boat lift as well as water and electrical service. 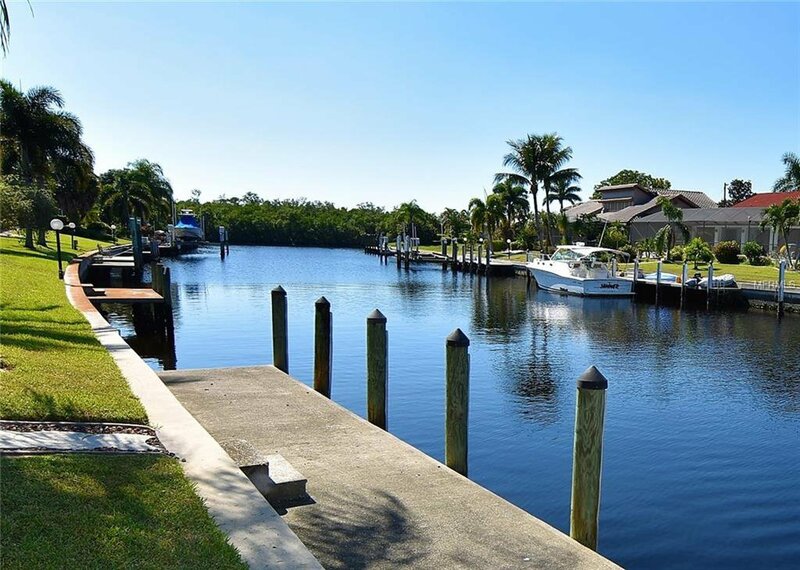 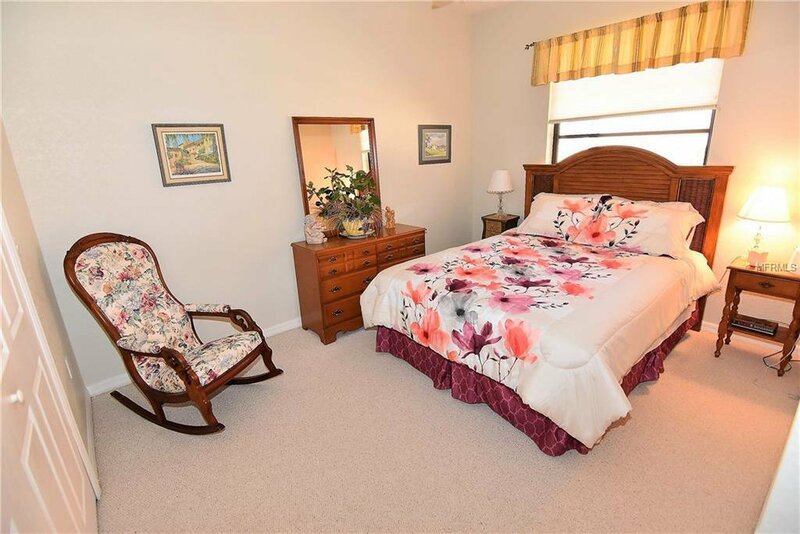 As to location, Saba Ct is just 3.5 miles from shopping & the Fisherman’s Village complex and 4 miles from downtown Punta Gorda.